U.S. Geological Survey map shows the location of the swarm of nine earthquakes over the past day. 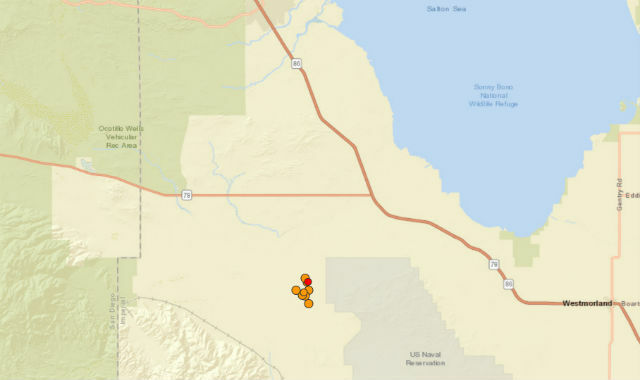 A swarm of small earthquakes continued in the Imperial Valley on Sunday, as a magnitude 3.2 earthquake hit the area. The earthquakes were all considered small and could be aftershocks of the biggest, 3.4-magnitude earthquake, seismologist Jana Pursley, of the USGS, told City News Service.